This tools kit includes many tools, which are for DIY users. 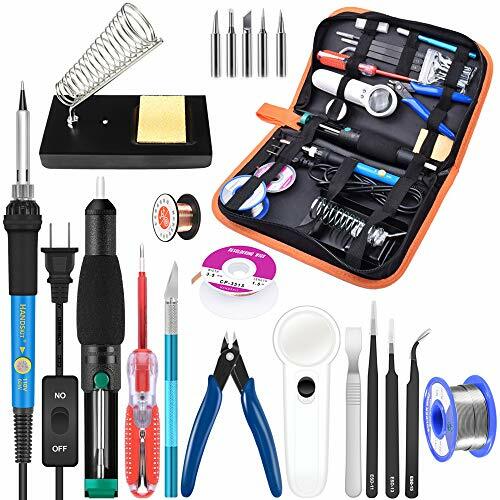 The tools in this kit can be used to build wires and all-in-one design makes item easy for taking. Main Features: 1)Coil Resistance Wire Winding Rod:Five optional (1.5mm, 2mm, 2.5mm, 3mm, 3.5mm), easy to wrap your resistance wires with your hands, a large coil winding jig tool for many different purposes. 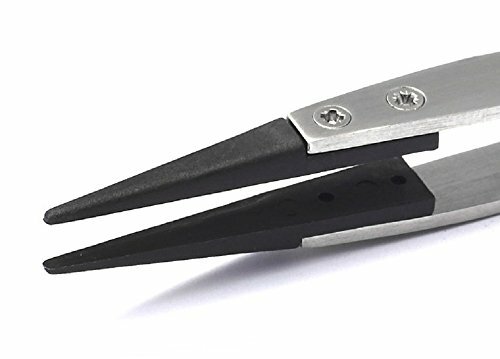 2)Tweezer and Plier:Ceramic Tweezer tip is smooth, solid and anti-magnetic, corrosion-prone and temperature-resistant up to 1300 ° C. Curved Tweezer,good for keep the cotton.The plier, super convenient and sharp. 3)Coil Brush and Scissors:Brush made of high quality stainless steel. This allows you to easily clean your coils and remove cotton wool, liquid residues and encrustations. Scissors is very sharp and nice to use. 4)3 Types of Screwdriver:Heat-treated precision ground tip for greater strength. Non-slip design handles for maximum comfort when working on small equipment . A very nice tool if you build your own coils wire. Lock design for the plier, super convenient and safe. 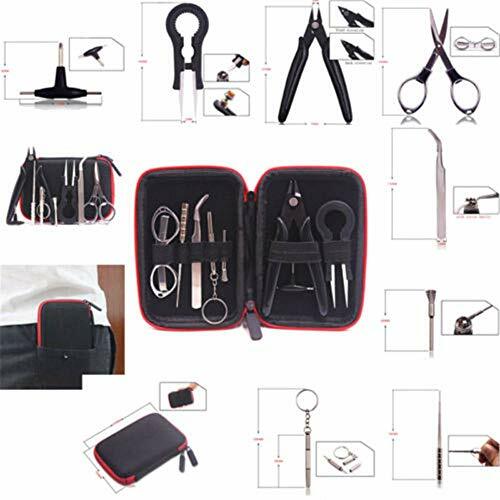 Contents: 1 x Diagonal Pliers 1 x Ceramic Tweezer 1 x Curved Tweezer 1 x Flathead Screwdriver 1 x Phillips Screwdriver 1 x T6 Allen Screwdriver 1 x 304 Stainless steel Scissors 1 x Winding Coil Jig 1 x Steel Brush 1 x Organic Cotton (Free Gift) 1 x Carrying Bag Tips: There is not for sale to under 18's. And You have to be careful when using the sharp tools, straight at shears and wire cutters. ✅If you don't absolutely love your new Coiling Kit, only need one email we will Very happy to replace them or refund your full purchase price -- no questions asked! 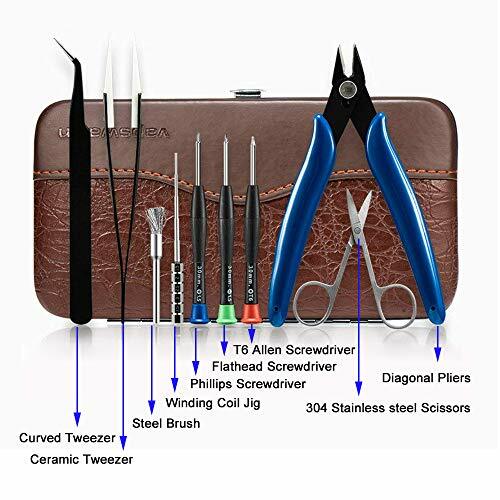 Descriptions: This is a delicate tweezers made by stainless steel handle and precision creamic tips with powerful functions,which is necessary tools for your life. Precision ceramic tips with Non-conductive, heat resistant, anti-magnetic, and non-corrosive features which can rebuild on any heat, conductive or electrical platform. It also get you high precision tips for precise fine tuning and ensure firm grips on any surface.Of course, it will be perfect tools for vapor to rebuild atomizer and adjust coils. The stainless steel handle and ceramic tips are made with swiss quality for for longer life. 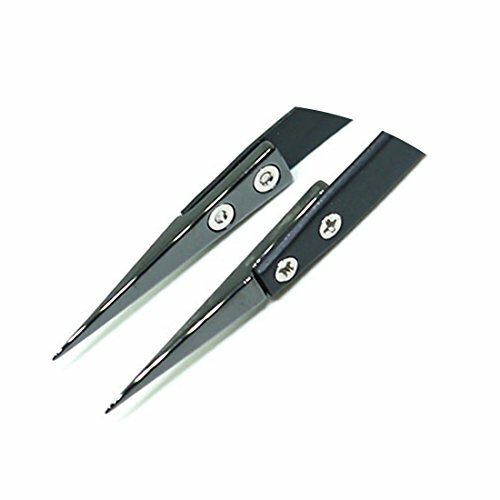 The replaceable creamic tips will be more economic and pratical in daily using. 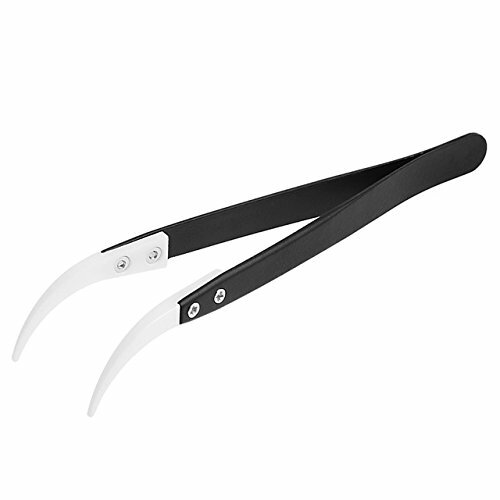 Just move and get this powerful creamic tweezers. Packing: 1*Ceramic Tweezers Blister Card Packing Warranty: We,Cigera, get you 365 days full-satisfaction guarantee! If you are unhappy with this purchase with any reason,welcome to contact us.We are sure get you perfect solutions. Introducing the best Ceramic Tweezers you will ever need by LifeMods! 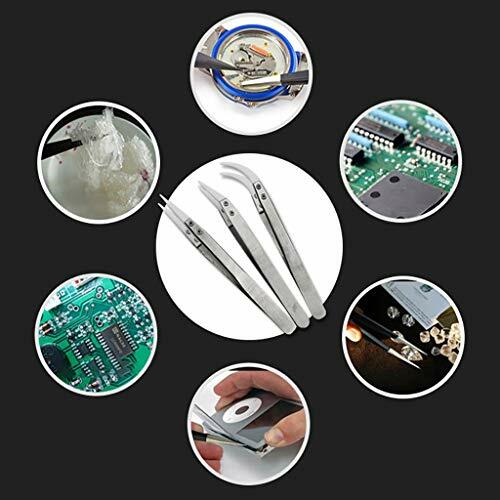 - These ceramic tweezers are a necessary tool when rebuilding on any heat, conductive or electrical platform - These Fine Tipped Tweezers are perfect for adjusting your coils while firing at a comfortable angle. - The stainless steel handle and ceramic tips are made with swiss quality for maintained durable use. - They feature high precision tips for precise fine tuning and ensure firm grips on any surface. - They are Non-Conductive, Heat Resistant, Anti-Magnetic, and Non-Corrosive. - The ceramic tips are shipped with the screws slightly less tightened to ensure safe shipping. No more charred or broken tips! 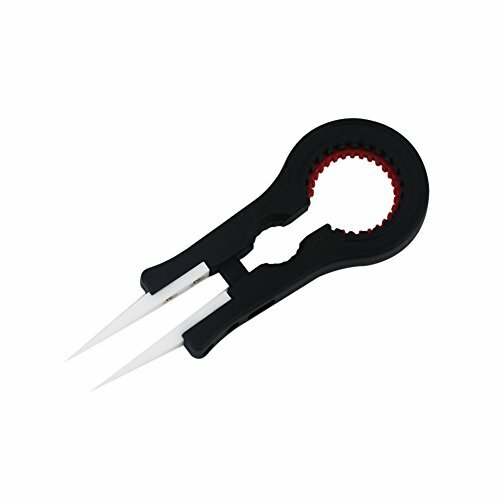 The black ceramic keeps these tweezers from charring -Your satisfaction is guaranteed! Please be sure to contact us if you have any questions at all! Authentic LifeMods Logo is branded on the black handle. Accept no substitutes! 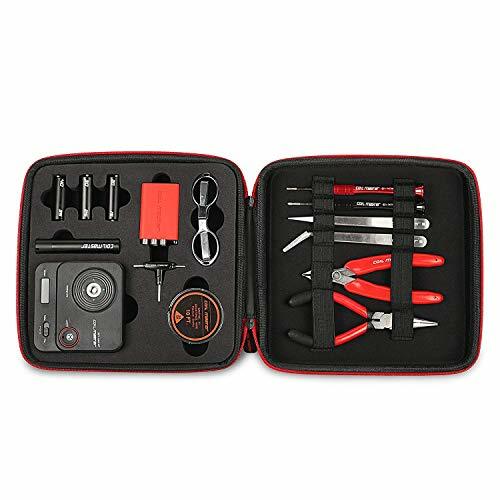 Why do you choose us:This set of tools is complete,you don't need to buy the other accessories from the amazon store.PU carry bag is very convenient to store small tools and easy to carry,you can take it anywhere for repair or DIY.Specification:Work Voltage: 110VPower: 60WTemp Rang: 200℃ - 450 ℃TweezerSoldering Iron Stand: SteelDesoldering Pump: Plastic and aluminum alloyCarry Bag: PU leatherPackage Included:1 x Adjustable Temperature Welding Iron with ON/OFF Switch x 11 x Mini Digital Multimeter5 x Soldering Iron Tips 1 x Desoldering Pump 2 x Anti-Static Tweezers 1 x Screwdrivers 1 x Soldering Iron Stand1 x Wire Stripper Cutter 1 x Electronic Wire 1 x Solder Wire 1 x Blade(Random Color)1 x Rosin1 x PU Carry Bag How to solder: Clean the parts to be joined.Please wet the sponge before using. Clean soldering iron tip and ""tin"" all faces of tip with a coating of solder. When the temperature is high enough, put the solder wire close to the joint, the solder will melt and flow freely. Don't pull the soldering iron tip outward and use it in that way, which will shorten the heating element life.Warm Tips:Please be really careful when you are using the tools in avoidance of pricks or other injuries,You'd better keep it somewhere kids can't reach.The iron heats up fast,so please select a suitable temperature. Working for long hours and high temperature may shorten its life.Do not allow the iron to idle at operating temperatures for extended periods, This could burn the soldering iron and even other things.